Want to create stunning images for your blog and social media posts? You don’t have to be a designer to create beautiful images in a matter of minutes… you just need the right tools. In this article, we will share 9 tools to create better images for blog posts and social media. You may be able to find a stock photo that will work alright as-is for your blog or social media posts, but it is rarely going to be as good as a custom-made graphic. There are several great professional image editing tools, like Adobe Photoshop or GIMP, but these tools have a pretty steep learning curve. If you aren’t a designer but you want to create quality, customized images in just a few minutes, you’ll need a simpler tool. Lets take a look at nine simple, easy and fast image creation tools. 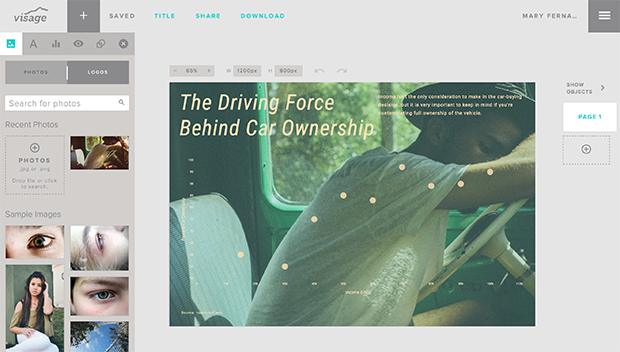 Visage is the best free design tool for creating images for your articles, social media and more. There is a large library of free images for you to start with, and you can even input data to create infographics with this tool. All you have to do to get started with Visage is enter your email to set up a free account and start creating striking images. 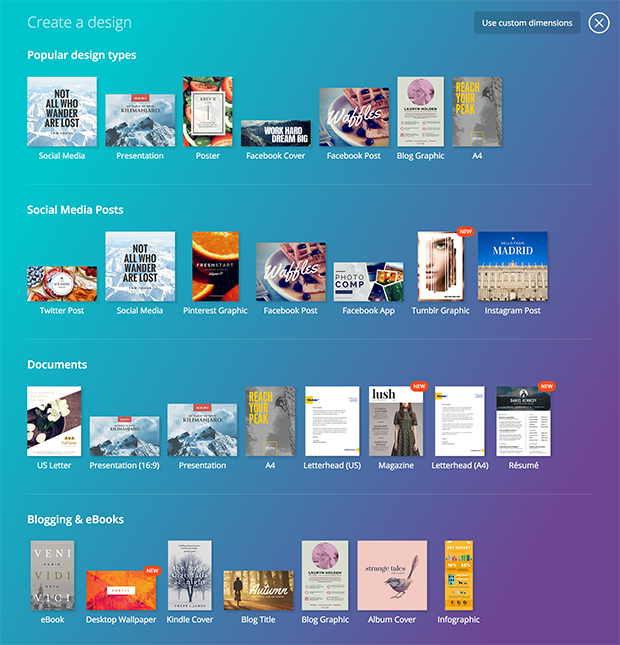 Canva has some great features including built-in templates, size selection for multiple social media channels, stylish fonts, and more. Simply select from one of their design types, or select “Use custom dimensions” to start from scratch. Pablo has a searchable library of over 50,000 royalty-free photos and an amazing font selection to choose from for your images. You can upload your own assets, like background images, logos or graphics, and you can even add quotes from their library in a single click. 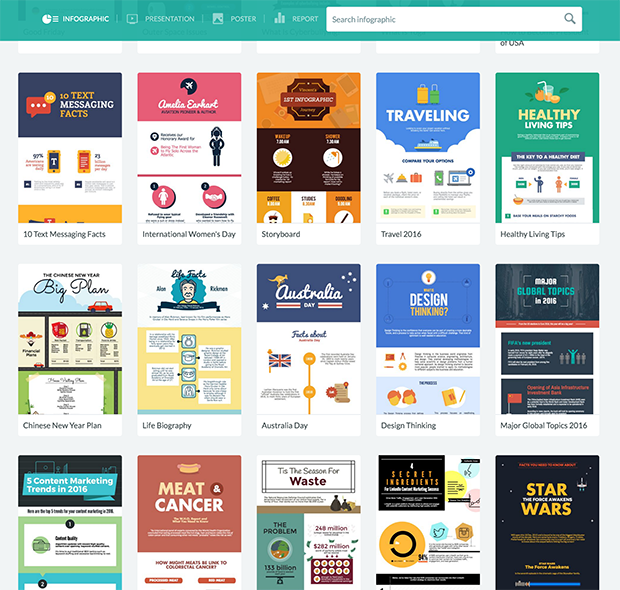 Piktochart can create beautiful infographics, presentations, posters, and reports. Simply select one from the many pre-built templates or create your own and add charts, texts, icons, and more to your images. Skitch is a quick and easy way to edit and add notes to your photos. You can add an arrow, blur an area in your photo, add text and highlights, crop and more. 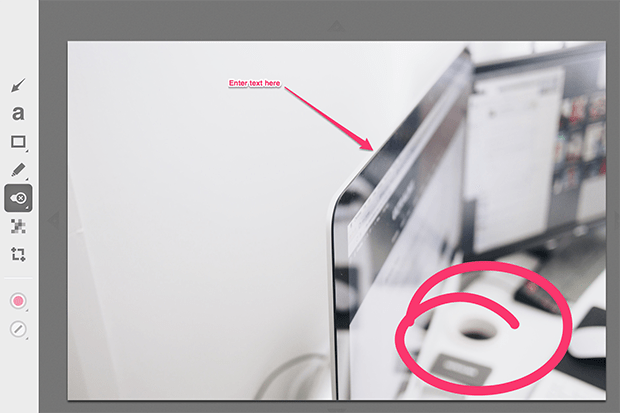 You can even take screenshots using Skitch and quickly edit them for your articles. 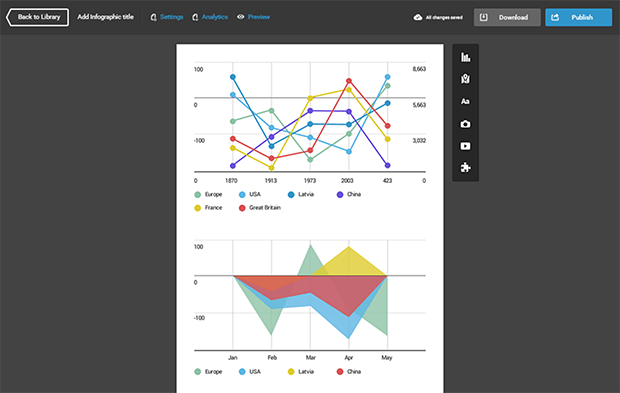 Infogr.am is the best tool for quickly creating complex infographics with multiple features. You can create interactive visualizations to make your graphics even more engaging. They’re responsive too, so they’ll display beautifully across all devices. You can even connect live sources of data, so your infographics are updated in real time. Pictaculous hellps you to come up with stunning color schemes that coordinate with your images. Simply upload an image (you can find free images to use here), and Pictaculous will suggest the best color palette to match your image. Pixlr is a robust online image editing tool. It’s very similar to a basic version of Photoshop. 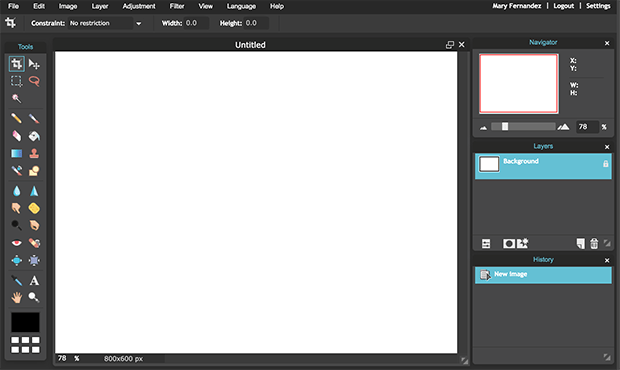 Some of the features include brushes and tools, layers, adjustments, filters, borders, fonts, shapes, and more. Pixlr is extremely versatile, and completely free to use. Smush.it is a high-quality image compression tool that helps you to optimize your photos for the web so you can increase the loading speed of your website. This tool maintains the quality of your image, and it won’t change the dimensions of the photo. 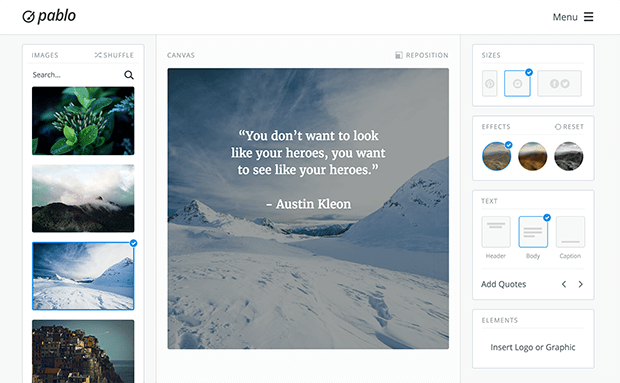 Smush.it is a great tool for optimizing your blog post and social media images. We hope this article has helped you to find some amazing tools for creating better images for blog posts & social media. You may also want to check out our guide on 9 best free image optimization tools for image compression. Wonderful article! I think you should add Tonomatograph in this list. It’s a new and good platform. It’s also easy to use and you find here a lot of customizable graphics for Pinterest.